The Ferrari FF (FF meaning "Ferrari Four", for four seats and four-wheel drive)(Type F151) is a grand tourer presented by Ferrari on March 1, 2011 at the Geneva Motor Show as a successor to the 612 Scaglietti grand tourer. It is Ferrari's first production four-wheel drive model. The body style has been described as a shooting-brake, a type of sporting hatchback/estate car with two doors. The FF has a top speed of 335 km/h (208 mph) and it accelerates from 0 to 100 km/h (62 mph) in 3.7 seconds. Ferrari states that the FF was the world's fastest four-seat automobile upon its release to the public. The FF costs US$300,000, with 800 being produced during the first year. The FF is equipped with a 7-speed dual-clutch transmission and paddle shift system similar to the California, the 458 Italia, and the Ferrari F12berlinetta. The new four-wheel drive system, engineered and patented by Ferrari, is called 4RM: it is around 50% lighter than a conventional system, and provides power intelligently to each of the four wheels as needed. It functions only when the manettino dial on the steering wheel is in the "comfort" or "snow" positions, leaving the car most often in the traditional rear wheel drive layout. Ferrari's first use of 4RM was in a prototype created in the end of the 80s, called 408 4RM (abbreviation of "4.0 liter, 8 cylinder, 4 Ruote Motrici", meaning "four-wheel drive"). This system is based around a second, simple, gearbox (gears and other components built by Carraro Engineering), taking power from the front of the engine. 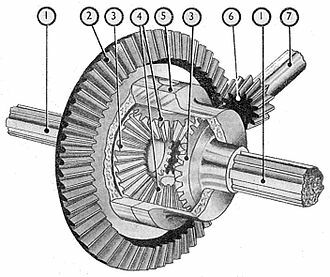 This gearbox (designated "power take off unit", or PTU) has only two forward gears (2nd and 4th) plus reverse (with gear ratios 6% taller than the corresponding ratios in the main gearbox), so the system is only active in 1st to 4th gears. 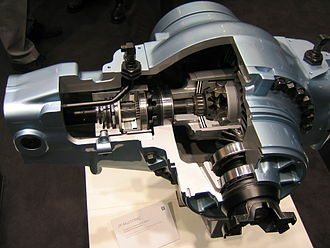 The connection between this gearbox and each front wheel is via independent Haldex-type clutches, without a differential. 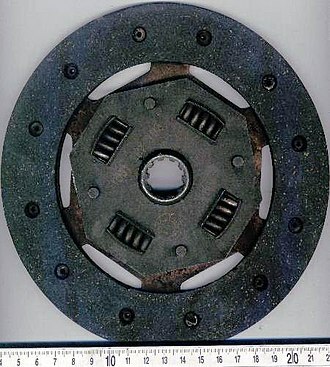 Due to the difference in ratios "the clutches continually slip" and only transmit, at most, 20% of the engine's torque. A detailed description of the system (based on a conversation with Roberto Fedeli, Ferrari's technical director) has been published. The FF shares the design language of contemporary Ferraris, including the pulled-back headlights of the 458 Italia, and the twin circular taillights seen on the 458 as well as the 599 GTB Fiorano. Designed under the direction of Lowie Vermeersch, former Design Director at Pininfarina, and Flavio Manzoni, Ferrari’s Styling Centre, work on the shooting brake concept initially started following the creation of the Sintesi show car of 2007. Distinctive styling elements include a large egg-crate grille, defined side skirts, and four exhaust tips. The shooting brake configuration is a departure from the conventional wedge shape of modern Ferraris, and the FF has been likened to the similarly-shaped 1962 Ferrari 250 GT SWB Drogo race car. The combination of hatchback-like shooting-brake design and collapsible rear seats gives the Ferrari FF a boot capacity of between 450 litres (16 cu ft) to 800 litres (28 cu ft). Luxury is the main element of the interior and the use of Leather is incorporated throughout, just like the predecessors of the FF. Creature comforts like premium air conditioning, GPS navigation system, carpeting and sound system are also used. Car and Driver China magazine gives the FF the title of “Most Beautiful Super Car 2011” at the Shanghai Auto Show. Oriental TV nominated the FF “Most Popular Imported Car Model at 2011 Shanghai Auto Show”. The FF won Top Gear magazine's "Estate Car of the Year 2011" award. 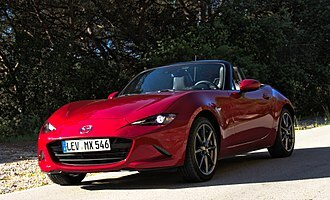 The FF won Top Gear Indian magazine's "Luxury Car of The Year 2012" award. The Ferrari SP FFX, introduced in 2014, is a one-off based on the FF. Its most notable feature is its custom body that features a more traditional coupé rear end in place of the FF's shooting-brake tail. The car was commissioned by a customer in Japan and was built by Ferrari's special vehicles division. Originally, when patent drawings surfaced online many sources thought the SP FFX was the design for the next generation Ferrari California. 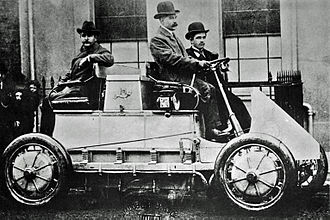 ^ a b c "21.01.2011 Ferrari offers a first look at its shock new four seater". italiaspeed.com. Retrieved 2011-01-22. ^ a b c "Four-wheel-drive Ferrari shooting brake revealed". topgear.com. BBC Top Gear. Retrieved 2011-01-21. ^ a b c d e "Ferrari FF specification". Retrieved 2014-05-02. 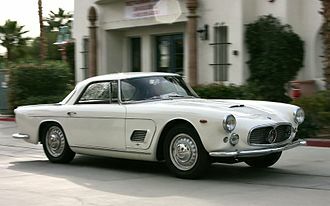 ^ a b c d e "Ferrari's fantastic four-wheel-drive FF flagship four-seat fastback". autoblog.com. Retrieved 2011-01-21. 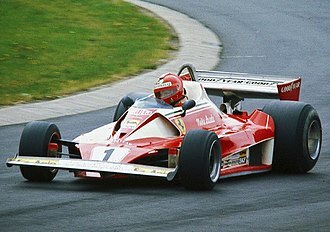 ^ a b "Geneva debut of the uniquely powerful and versatile FF, Ferrari's first four-seater, four-wheel drive car". ferrari.com. Retrieved 2011-12-30. ^ William Diem (26 November 2006), "The Shooting Brake makes a comeback", New York Times, The car is a shooting brake, which was conceived to take gentlemen on the hunt with their firearms and dogs. While the name has been loosely applied to station wagons in general, the most famous shooting brakes had custom two-door bodies fitted to the chassis of pedigreed cars from the likes of Aston Martin, Bentley, Jaguar and Rolls-Royce. ^ a b "Ferrari FF Powertrain". Retrieved 2015-12-03. 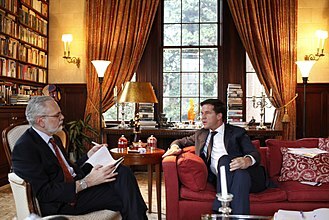 ^ Vettraino, J.P. (May 2, 2011). "Shout it from the Mountaintops". AutoWeek. 61 (9): 27–30. ^ Neil, Dan (April 2, 2011). "The Coolest Ferrari Ever—Drive Carefully". The Wall Street Journal. Retrieved April 30, 2011. ^ DeLorenzo, Matt (June 2011). "2012 Ferrari FF: A Ferrari for all seasons". Road & Track. 62 (10): 32, 34. Archived from the original on 2011-03-26. ^ "Ferrari FF". Retrieved 2015-12-03. ^ "FF 4RM". Retrieved 2015-12-04. ^ a b Jason Kavanagh (March 11, 2011). "IL Geek-Out: Ferrari FF 4RM All Wheel-Drive System". Edmund's Inside Line. Archived from the original on 13 April 2011. Retrieved 2 April 2011. ^ "408 4RM". ferrari.com. Retrieved 22 October 2012. ^ "Revealed! The 2012 Ferrari FF - First Look". roadandtrack.com. Archived from the original on 28 August 2012. Retrieved 22 October 2012. ^ Andrew English (24 March 2011). "Ferrari FF review". The Telegraph. Retrieved 14 March 2011. ^ Dan Strong (March 2011). "Ferrari FF". Autoexpress. Retrieved 14 March 2011. 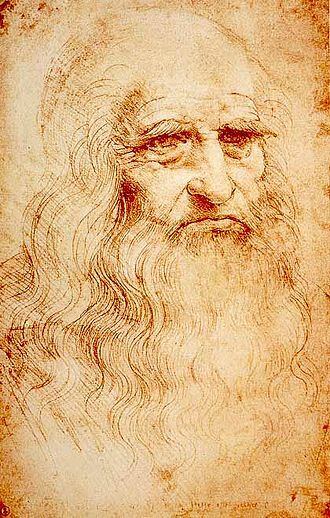 ^ Designboom. "ferrari FF production line tour + flavio manzoni interview". Designboom. Retrieved 27 January 2016. ^ "Ferrari’s new FF shooting brake". 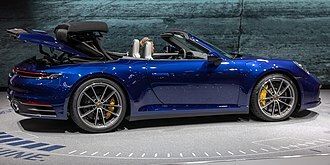 Car Design News Live. Retrieved 2012-06-04. ^ a b "FF Shangai". Retrieved 2015-12-04. ^ "Top Gear India". Retrieved 2015-12-03. ^ "2017 Best and Worst MPG Cars". Retrieved 29 December 2016. ^ "One-off Ferrari SP FFX unveiled | Autocar". www.autocar.co.uk. Retrieved 2018-03-23. ^ "First Look At Latest One-Off Ferrari, The SP FFX". Motor Authority. Retrieved 2018-03-23. 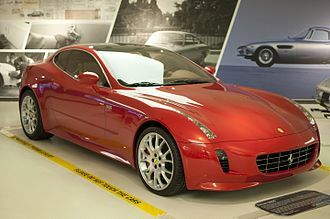 Wikimedia Commons has media related to Ferrari FF. A hatchback is a car body configuration with a rear door that swings upward to provide access to a cargo area. Hatchbacks may feature fold-down second row seating, where the interior can be reconfigured to prioritize passenger vs. cargo volume. Hatchbacks may feature two- or three-box design, while early examples of the body configuration can be traced to the 1930s, the Merriam-Webster dictionary dates the term itself to 1970. The hatchback body style has been marketed worldwide on cars ranging in size from superminis to small family cars, Hatchbacks may be described as three-door or five-door cars. A model range may include multiple configurations, as with the 2001–2007 Ford Focus which offered sedan, the models typically share a platform and bodywork forward of the A-pillar. Hatchbacks may have a rigid parcel shelf, liftable with the tailgate. Both station wagons and hatchbacks typically feature a two-box design configuration, with one shared, interior volume for passengers, further distinctions are highly variable, Both configurations typically feature A, B & C pillars, station wagons more likely feature a D pillar. Cargo volume, Station wagons prioritize passenger and cargo volume, with alongside the cargo volume. 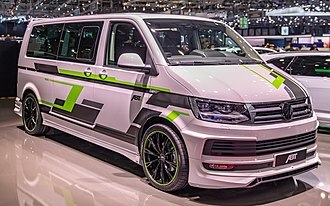 Cargo floor contour, Favoring cargo capacity, a station wagon may prioritize a fold-flat floor, Station wagons have two or three rows of seats while hatchbacks have one or two rows of seats. Rear suspension, A station wagon may include reconfigured rear suspension for additional load capacity, Station wagons have numerous tailgate configurations. Typically, a hatch or liftgate does not extend down to the bumper. You could have a 90-degree break in the back and have a station wagon, a liftback is a broad marketing term for a hatchback where the rear cargo door is more horizontal than vertical, with a sharply raked or fastback profile. In comparison with the hatchback the back opening area is sloped and longer and is lifted up to open. Liftback and fastback are often misused, a fastback is described as a hatchback where the rear cargo door flows down continuously from the roof of the car and most of the time is not as raked as the liftback. Pininfarina Sintesi was a concept car designed by Pininfarina and unveiled in 2008 at Geneva Motor Show. The name Sintesi means synthesis in the Italian language, the Pininfarina Sintesi was a 4-door 4-seat coupe. The design did not consider the car as a shape that covers the mechanicals, the concept was born from the manufacturer’s need to communicate his way of interpreting the car of the future. 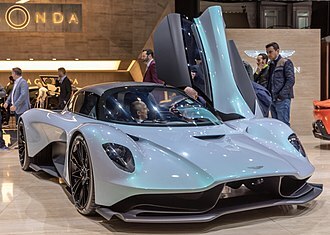 With the Sintesi, Pininfarina introduced concepts including Liquid Packaging and Transparent Mobility, Liquid Packaging refers to the concept of putting fuel cells and motors in each wheel. The result is that the space for passengers is much more generous – in proportion to the volume of the car – without detracting from the tapered. That’s why for the Sintesi, designers have developed a new fuel cell powertrain that can be spread out into different locations in the car, Transparent Mobility refers to the communication system where a vehicle can exchange information with other vehicles and traffic technology, through wireless technology. Bentley Mulsanne with optional "Flying B" hood ornament.